The St. Mary’s Track and Field team has a history of excellence dating back to Robert Rumping’s 1954 State Championship in the discus – the 1st State Championship in the history of St. Mary’s High School. In 2001 4x800m relay team of Missey, Cacciatore, Zwilling, and Hannigan earned gold medals at the State meet. 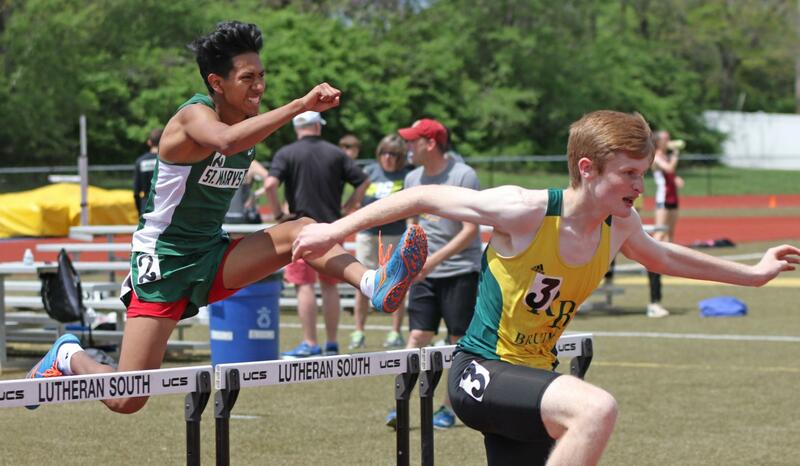 The St. Mary’s track team offers opportunities to compete in multiple facets of the sport including long distance, sprints, hurdles, long/triple/high jumps, shot put and discus. No experience necessary. The coaching staff emphasizes involvement, effort, and personal improvement. The athletes are encouraged to put forth maximum effort in both competition and the classroom. Finally, the team promotes the idea of PERSONAL improvement in general physicality, mental toughness and during performances throughout the season – striving every day to get better as athletes and as young men.